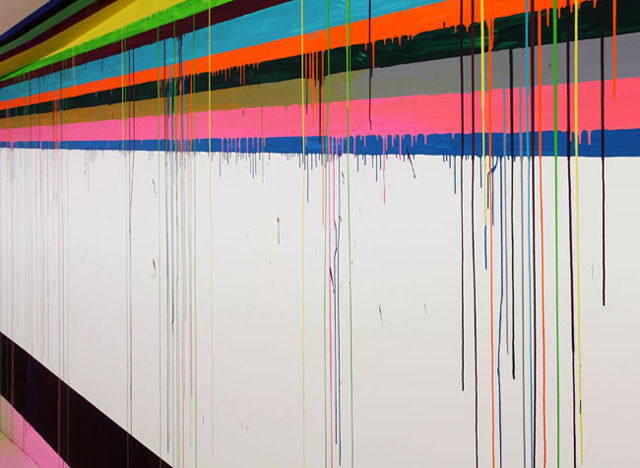 Marcus Linnenbrink, a German born brooklyn based artist is known for his striking works of art composed of drippy, vivid streaks of color. 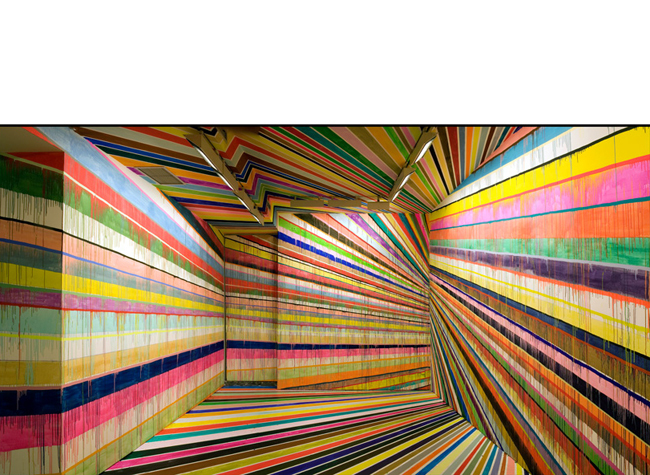 His work ranges from the floors, ceiling, and walls of site-specific instillations to paintings and sculptures. 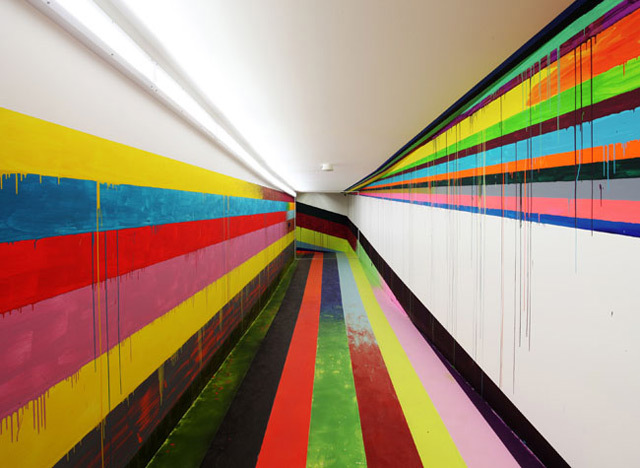 Linnenbrink utilizes a special mix of dry pigment and water to create the drippy nature of the painted lines for which his work is best known. 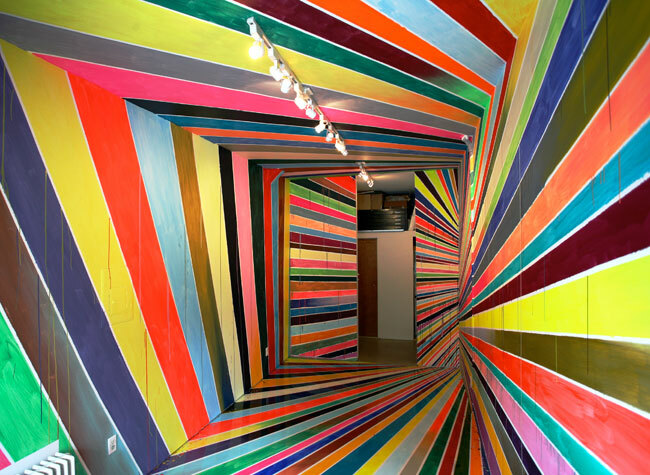 His impressive use of color and linear repetition tends to encapsulate the viewer manipulating the perspective of the interiors of the environment in which it exists. Enter your email address to subscribe to The Design Evangelist and receive notifications of new posts by email.